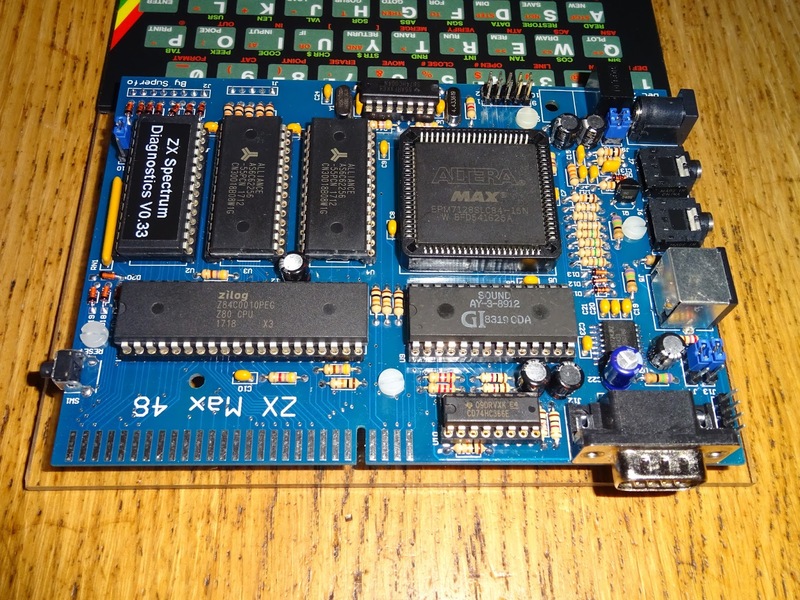 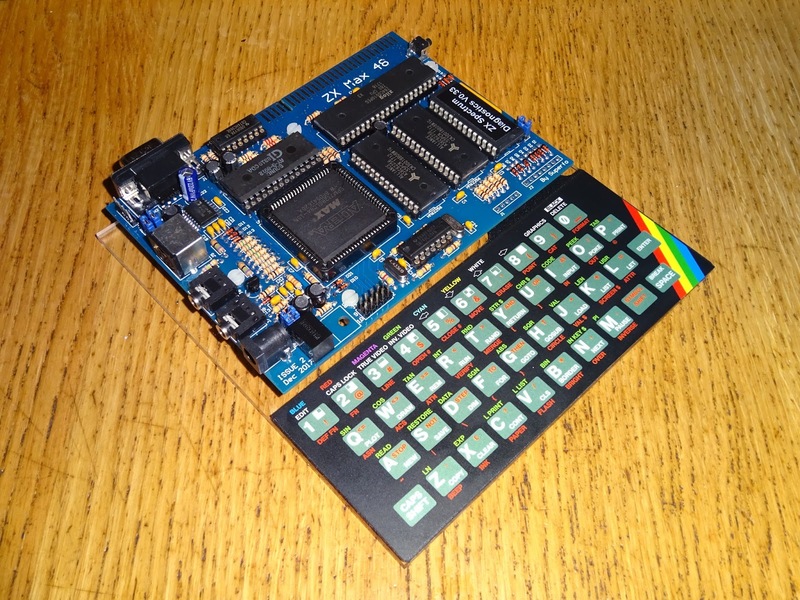 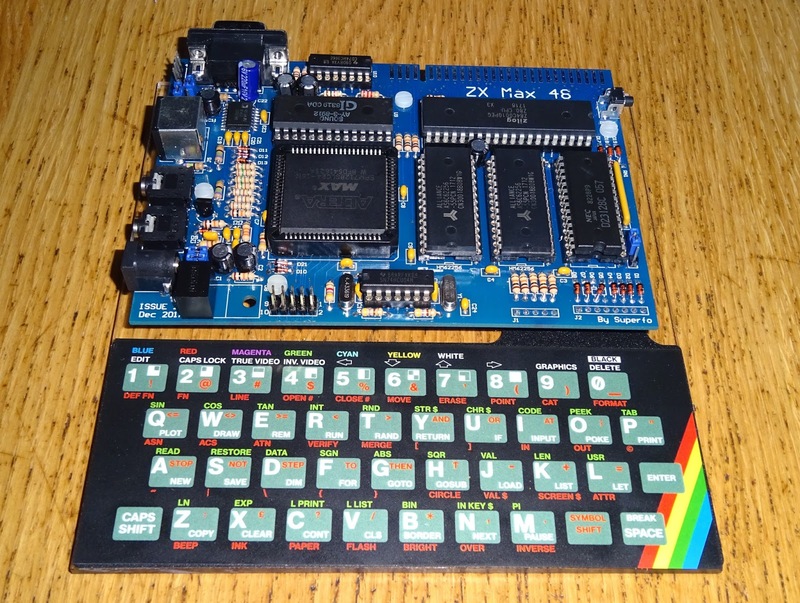 This is the ZX Max 48, a Sinclair ZX Spectrum 48K clone by Superfo (who also designed the Harlequin). 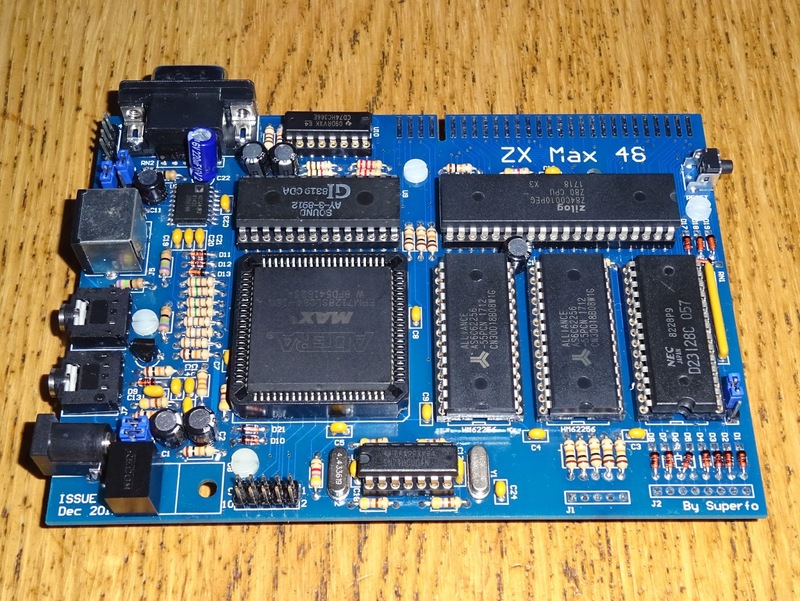 Real Z80, ROM and RAM, and all the logic of the ULA in a CPLD. 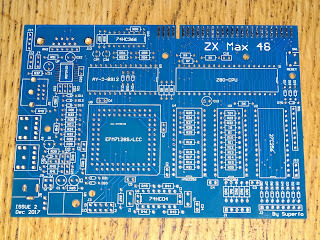 It's a new product, I think still in development. 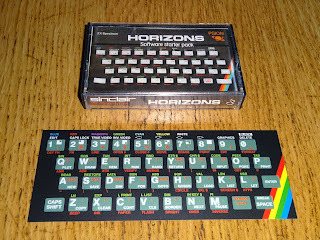 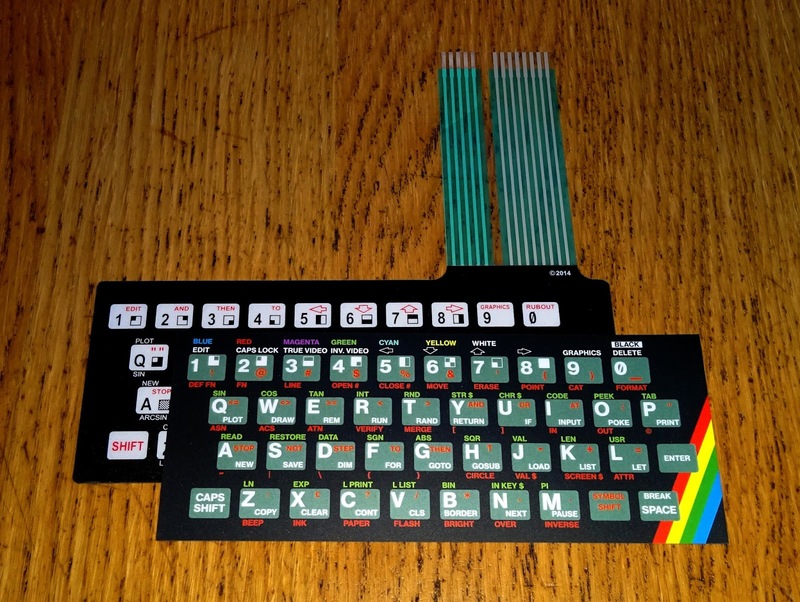 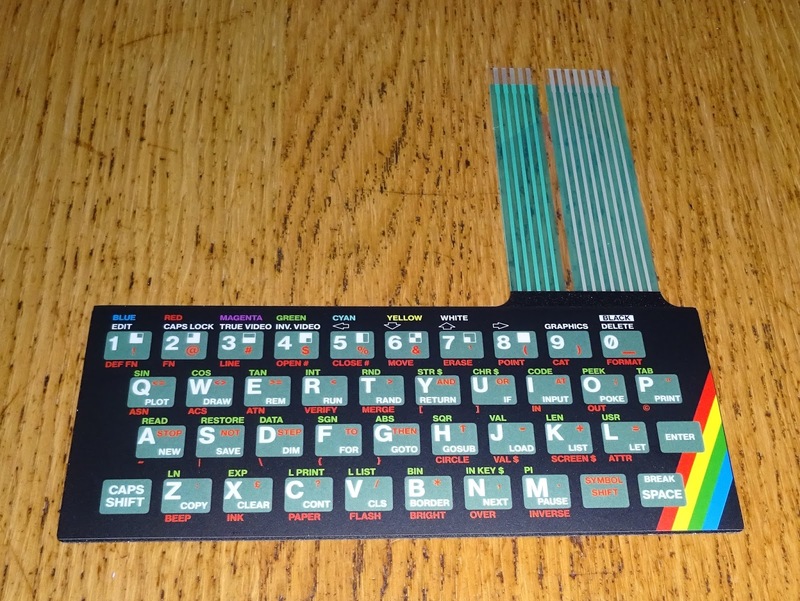 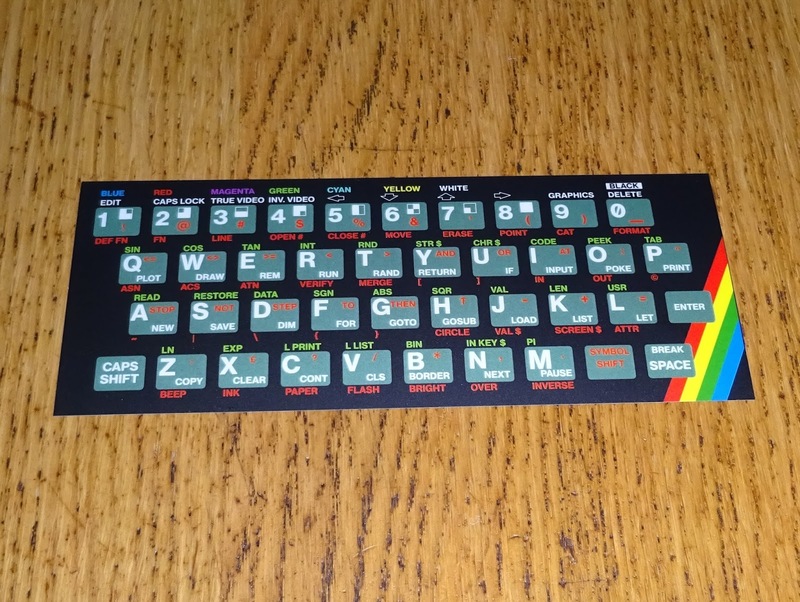 I was contacted be a member of the Sinclair ZX World forum and asked to produce some keyboard overlays, in the same style as the ones ZX80 style overlays I do for my Minstrel ZX80 clones. He kindly sent a PCB and CPLD so I could build one. 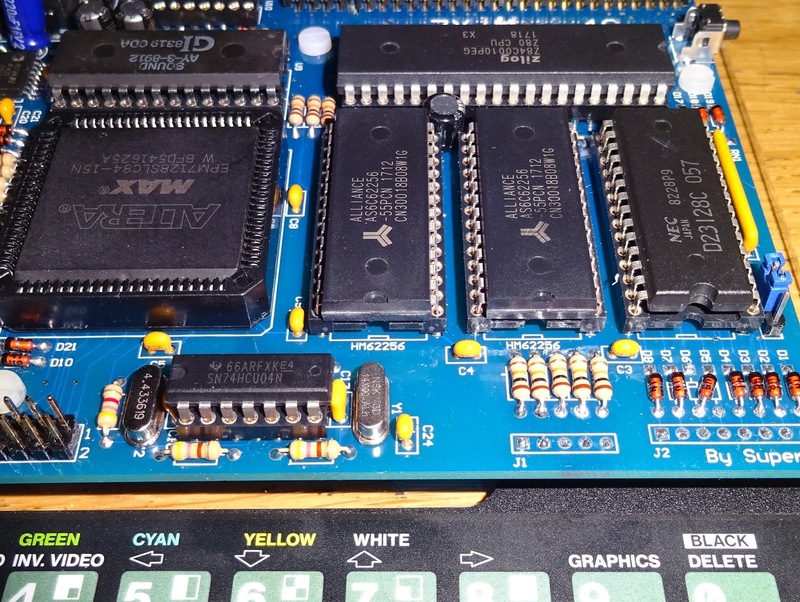 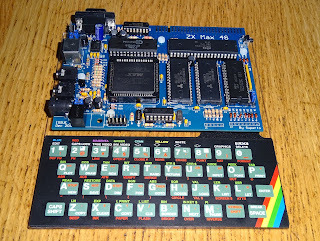 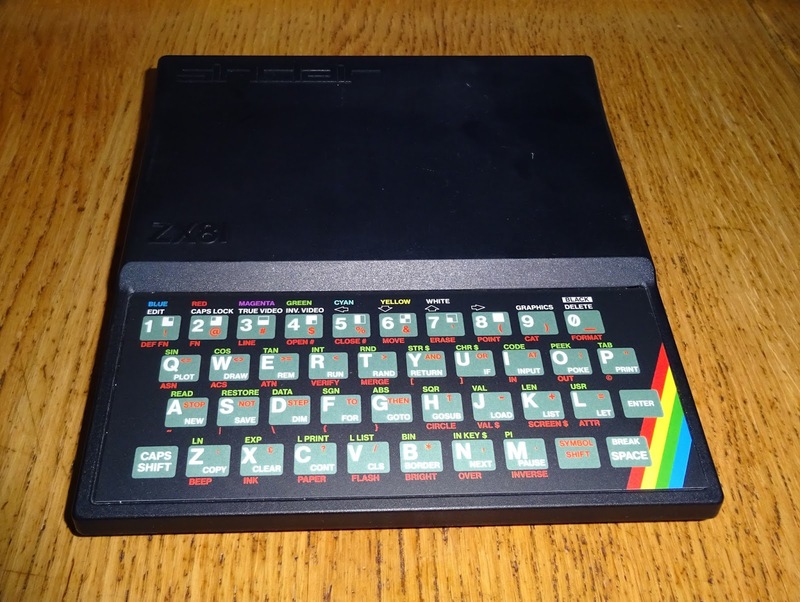 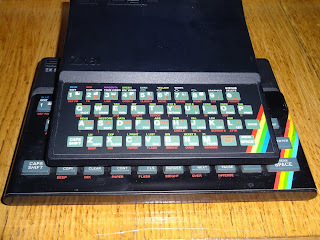 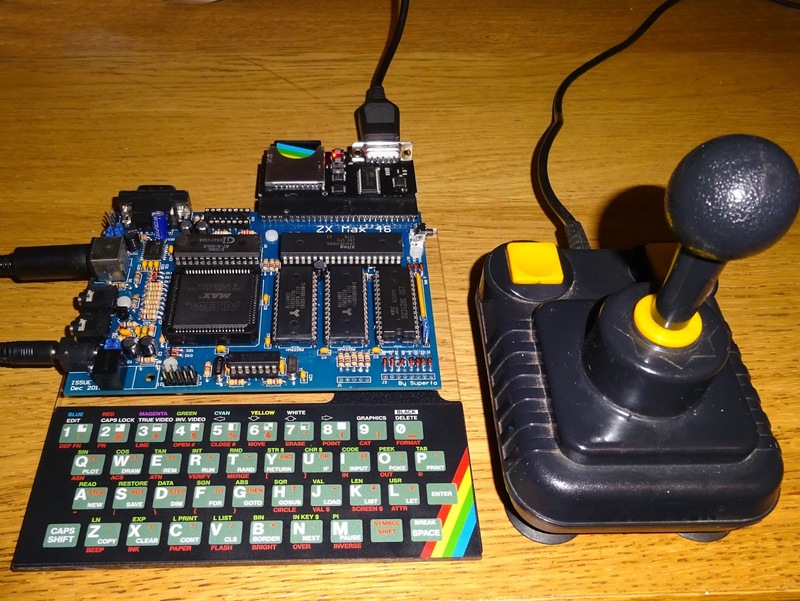 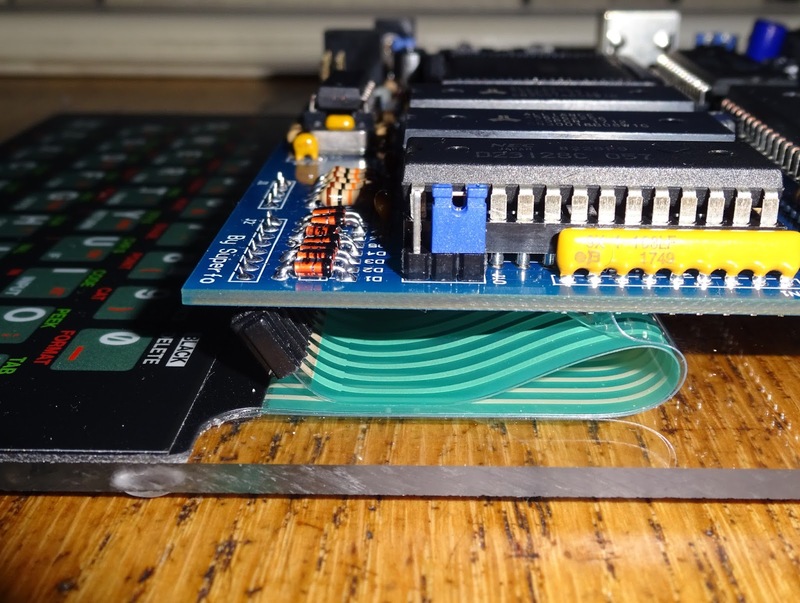 Like the Minstrel, the ZX Max 48 board is designed to be the same footprint as the ZX81 (apart from the slightly larger edge connector and joystick port at the back). 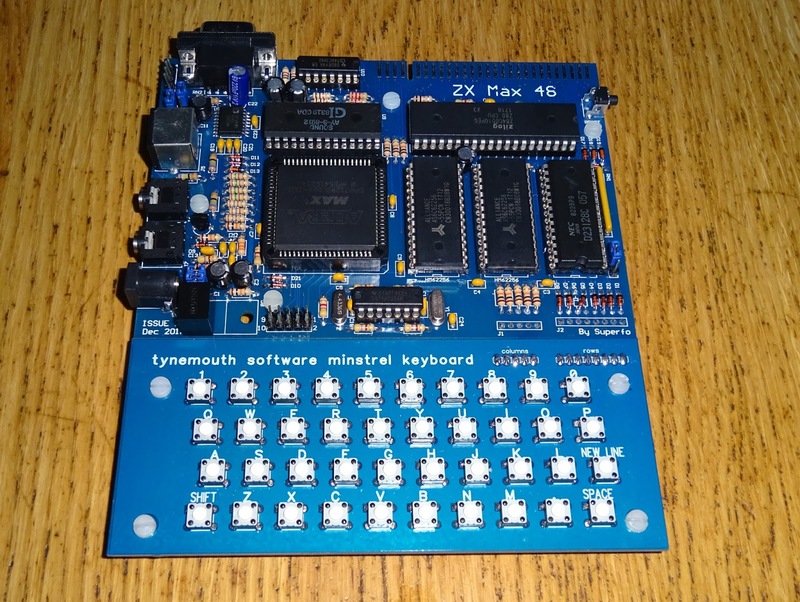 This means it lines up nicely with the Minstrel keyboard (available from my Tindie store). 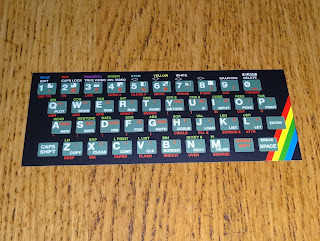 However, it was a keyboard overlay they wanted. 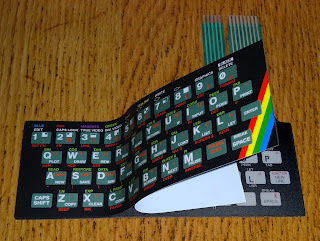 I designed this to fit over the ZX81 membrane, but with the ZX Spectrum keywords, symbols, colours and even the rainbow stripe. 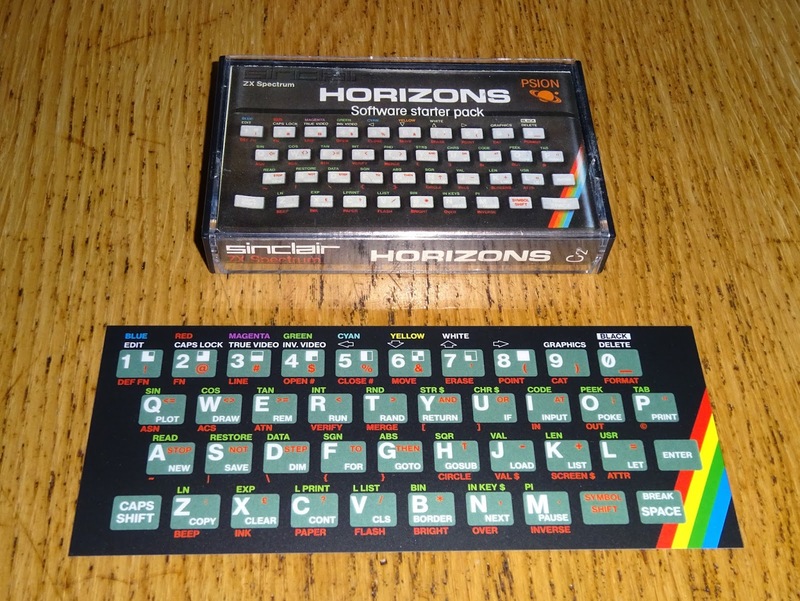 Surprising how much smaller than a Spectrum it is, seems closer to the Horizons tape. 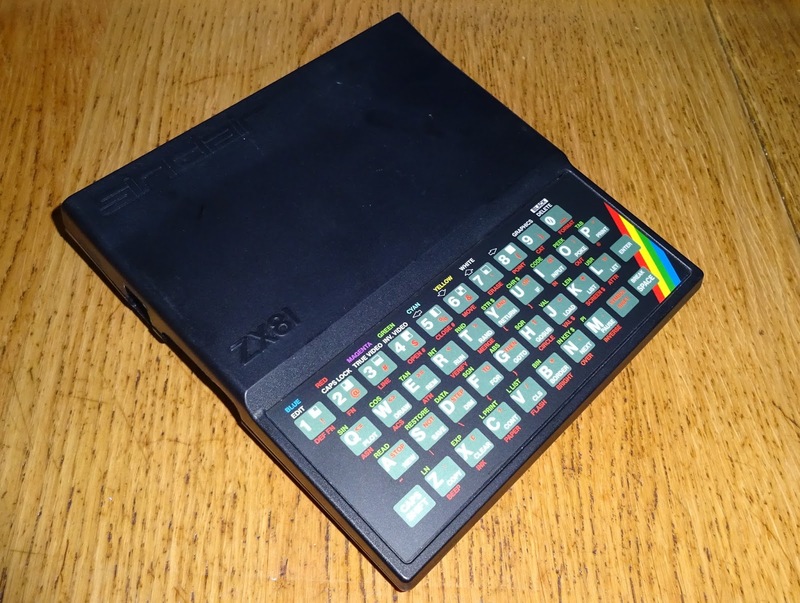 If you are using a ZX81 case which has a working membrane, you can stick the overlay directly over that. 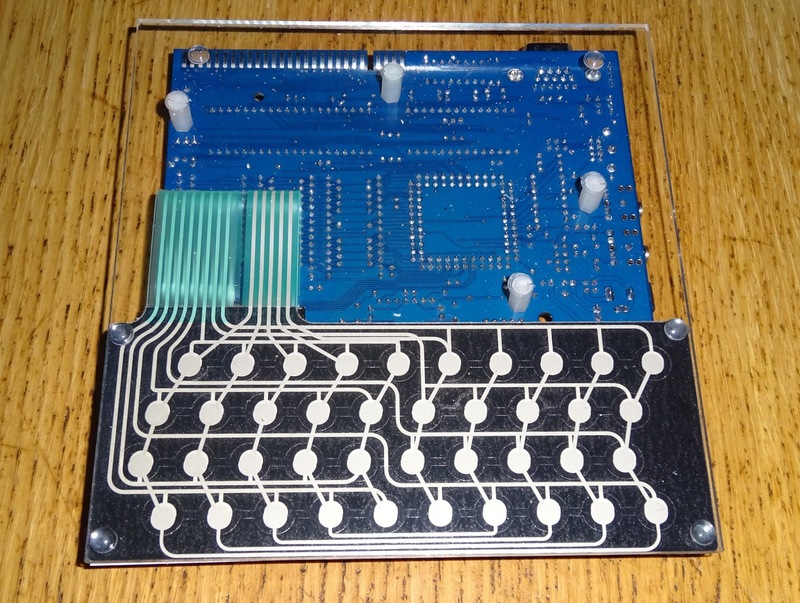 Or you can get the overlays and ZX81 membranes from my Tindie store). 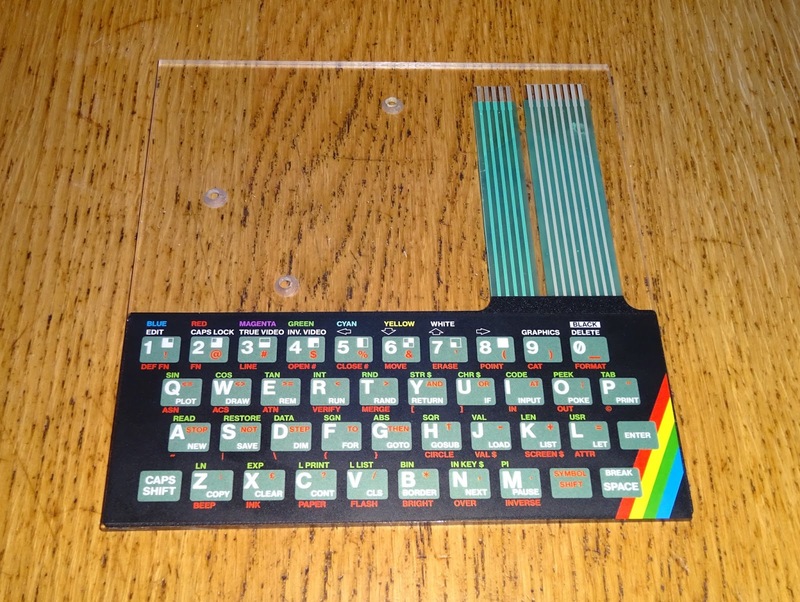 The overlay sticks over a ZX81 style membrane. 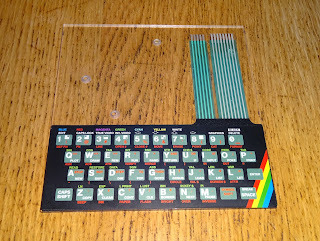 You then get a ZX Spectrum style membrane, which can be installed in a ZX81 case. Either way, you get a ZX81 with a ZX Spectrum style keyboard. The ZX Max 48 board will fit inside, although you would need to modify the back of the case if you wanted to use the edge connector or fit a joystick port connector. 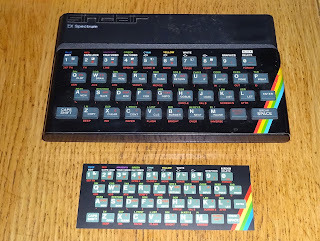 It's a sort of slightly smaller, slightly deeper Spectrum with a less rubbery keyboard. You don't have to use a ZX81 case, you can just mount it on a board, or a sheet of perspex. 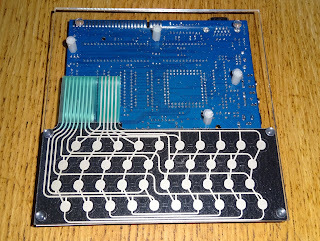 To do this, I fit the membrane connectors under the board, so the membrane tail is hidden under the board. 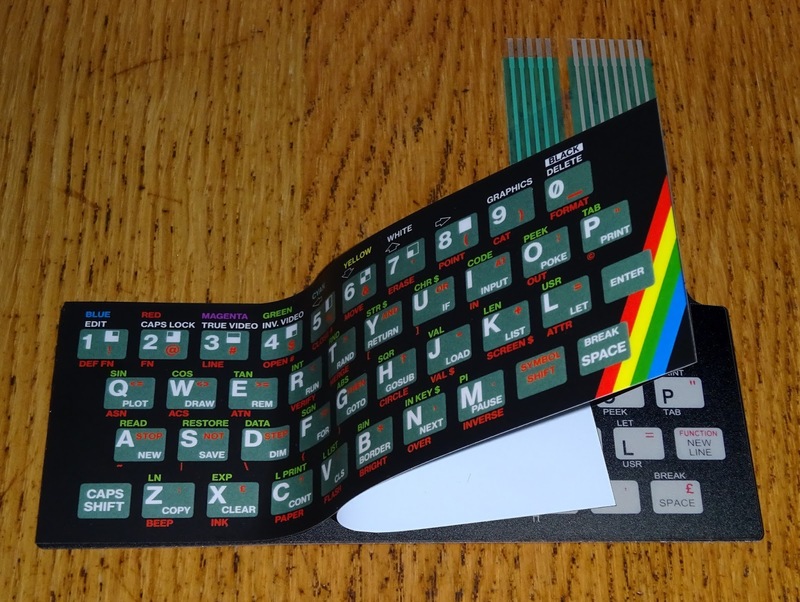 It's almost worth doing this just to admire the underside of the ZX81 membrane (this version designed and produced for me by RWAP). 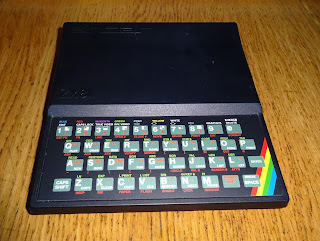 It's not bad from the top side either. 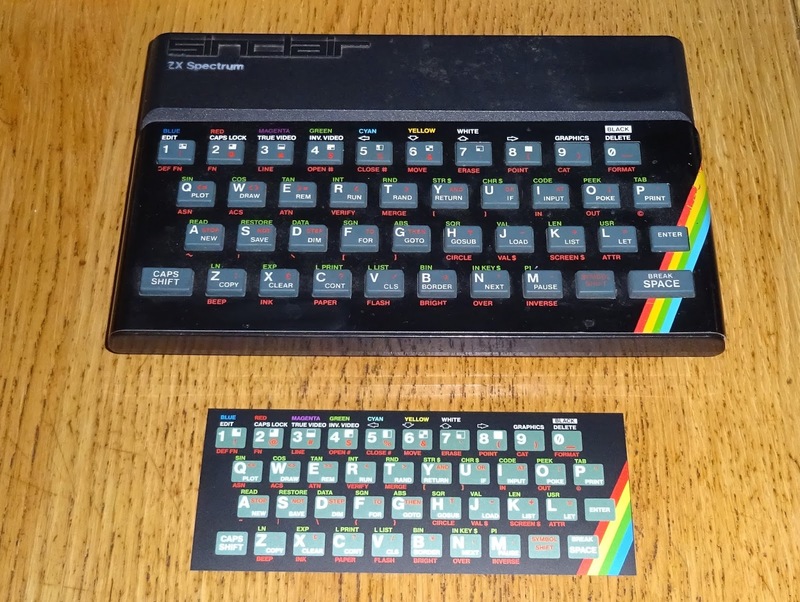 So a complete new Spectrum, with mainly new bits (the NEC ROM chip in the above photo is original, as is AY-3 sound chip). 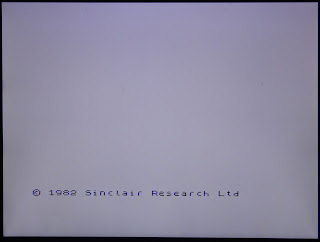 Well, I suppose I should fire it up now. 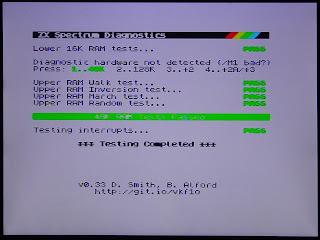 It almost worked first time. 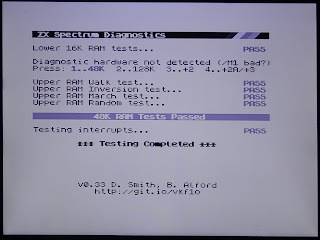 I got a result with the test ROM, but in monochrome. 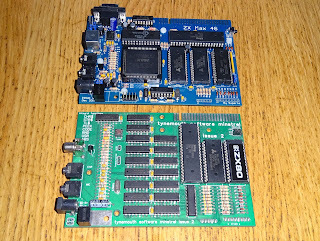 There are two oscillator circuits, one 14MHz which is divided down by the CPLD to generate the main Z80 clock, and also 4.43MHz which is for the PAL colour burst, but that wasn't running. 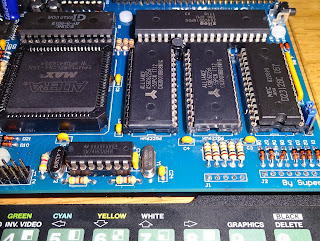 I found a similar problem on a Harlequin board I repaired. 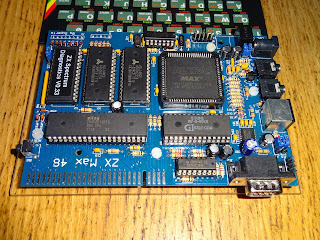 That had a dodgy 74HC04 chip. 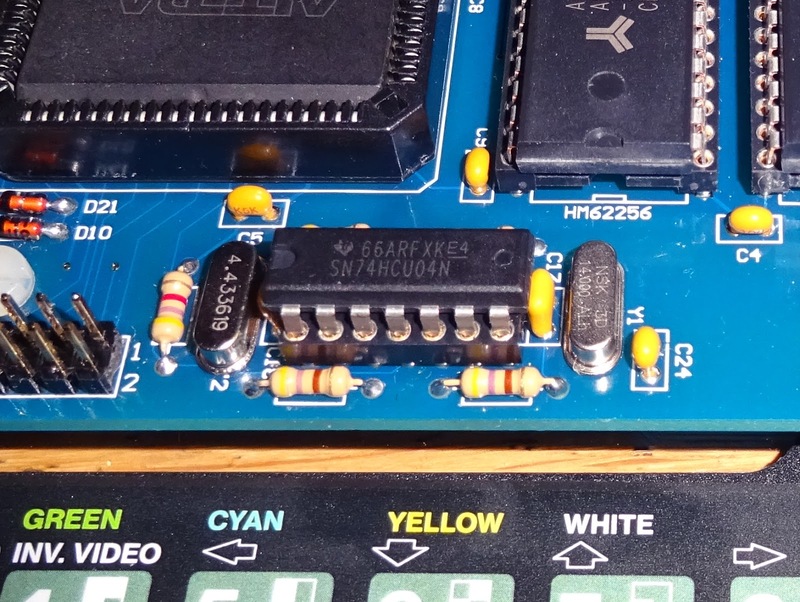 I tried a few others here, including the unbuffered version, the 74HCU04 (as used on the Spectrum +2). 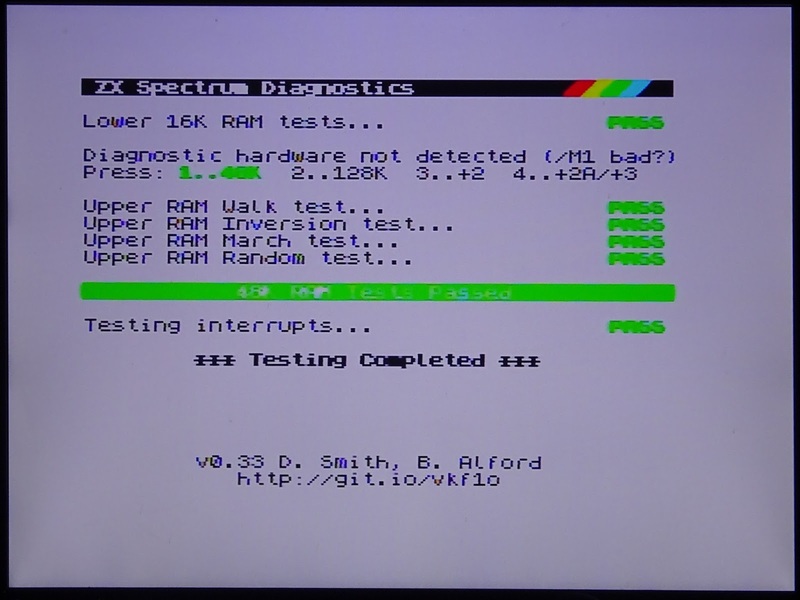 That didn't help, so I wasn't sure what the issue was. 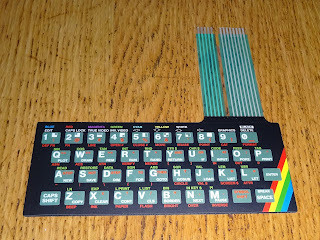 Might have been something up with the crystals I bought. 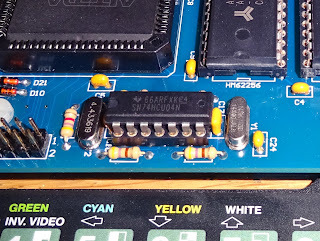 I looked at other series resonant oscillators, and the capacitor value was generally larger, so I swapped out the 100pF for 100nF on the 4.43MHz side and it came to life. The diagnostics was now in colour and all tests passed. 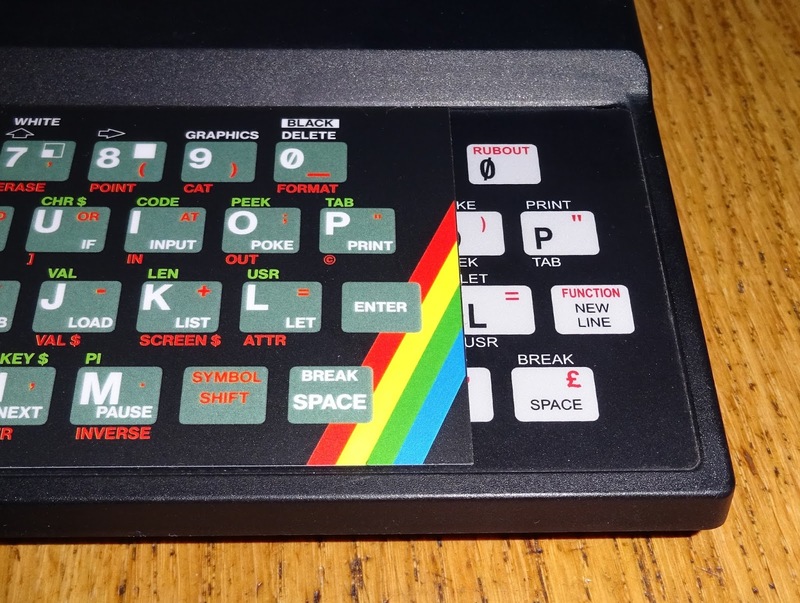 Back to the original ROM, and we appear to have a Spectrum. 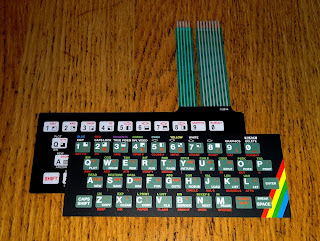 10 PRINT 20 GOTO 10 had to be done. 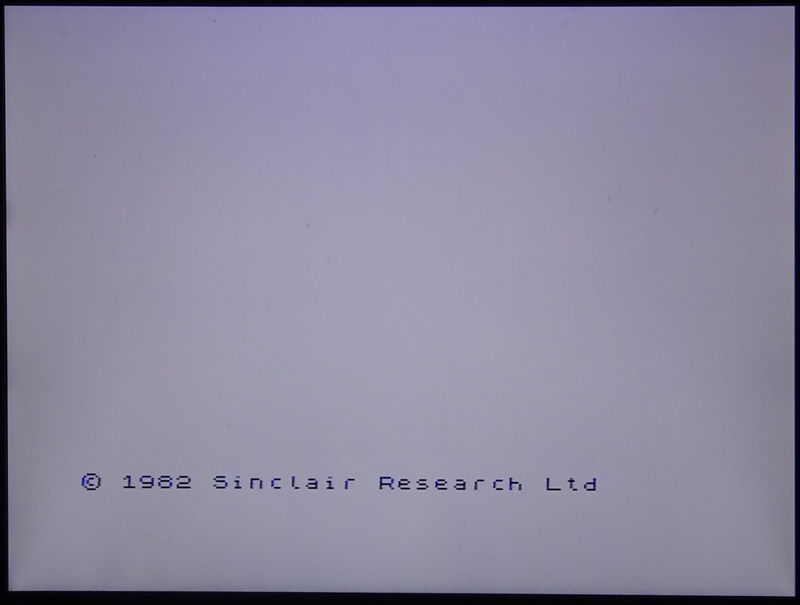 Time for a bit more testing. Yes, that is a normal sized Zip Stik. 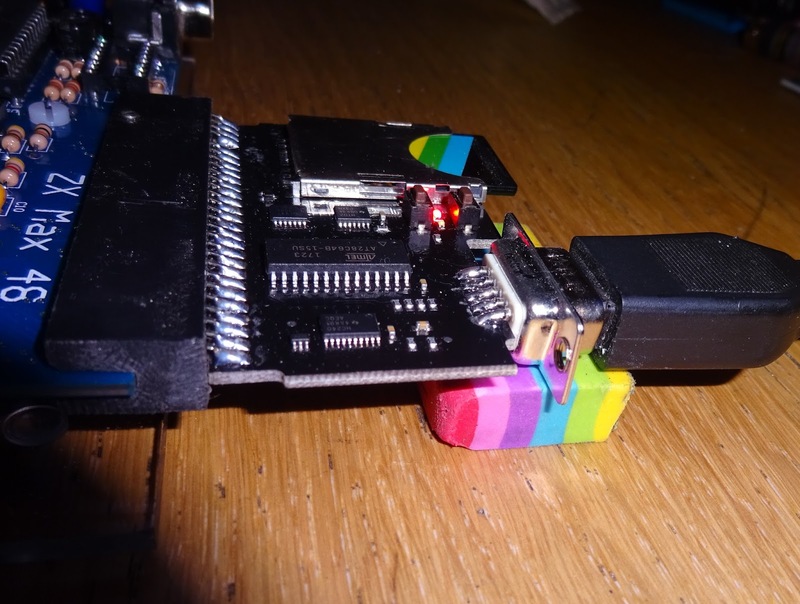 And yes, that is a divMMC future. 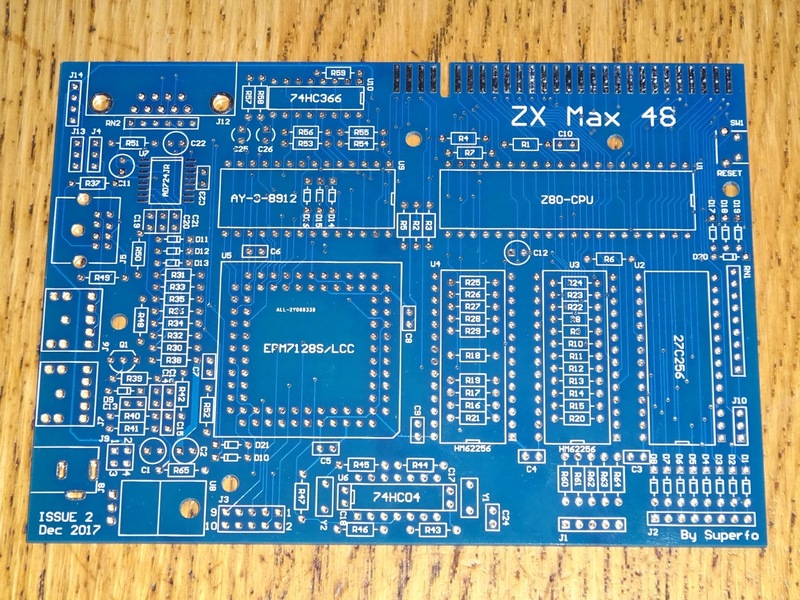 This is a ZX Max 48 issue 2 board, which has a Kempston joystick port build in (and an AY-3 sound chip). 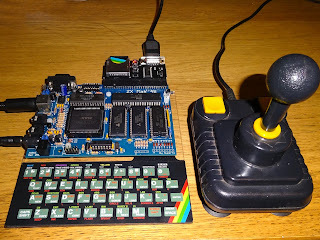 The divMMC future also has a Kempston joystick, so I removed the 74HC366 chip to avoid any conflicts). 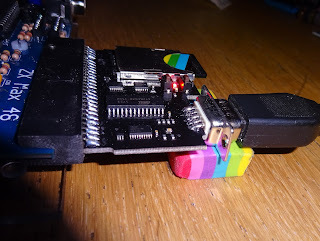 Only slight issue was the divMMC future board was a little high, luckily I had the perfect thing, not the usual sort of rubber feet, but it did the job. 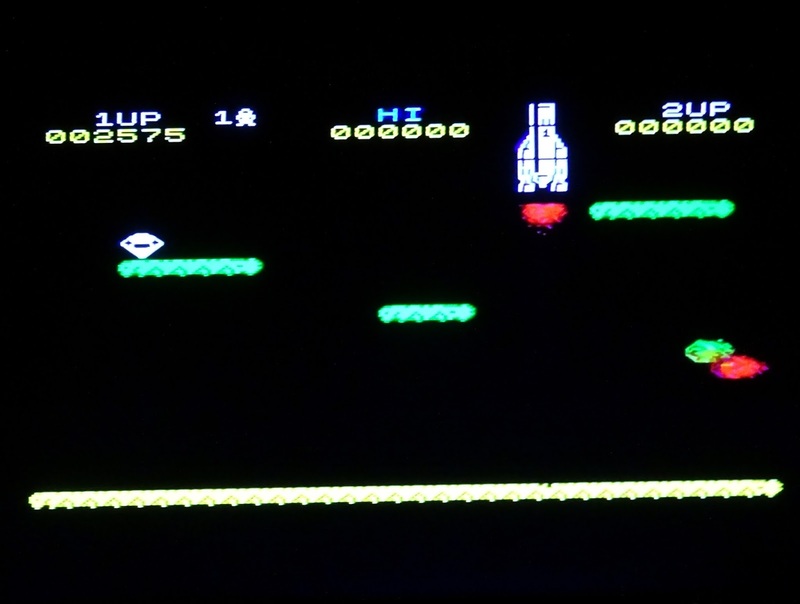 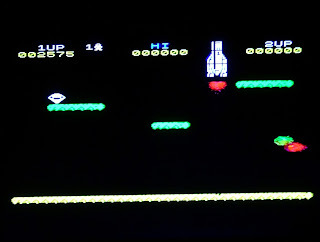 Jet Pac ran nicely as did most of the other things I tested. 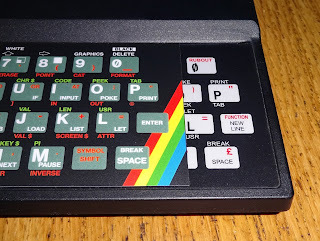 There were shimmering lines in the graphics on a couple of games, I am told there is some updated firmware, so I'll give that a go. 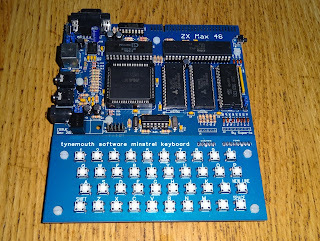 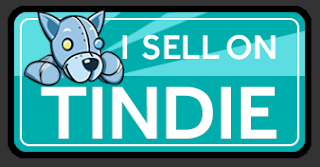 The overlays, membranes, Minstrel ZX80 clones and keyboards are all available from my Tindie store.